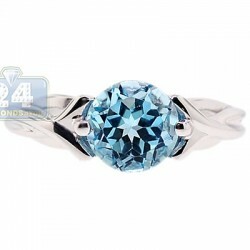 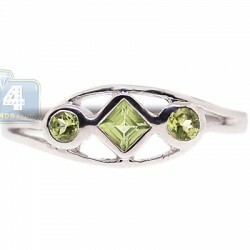 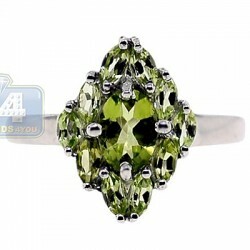 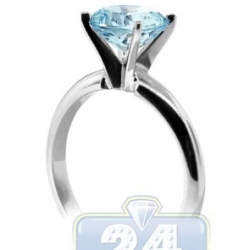 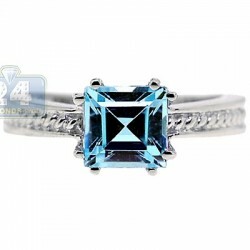 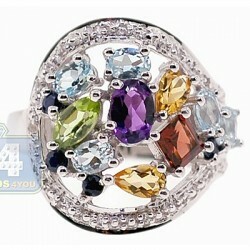 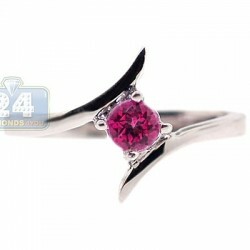 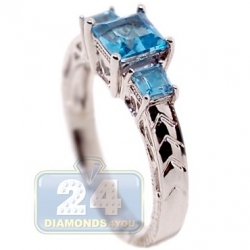 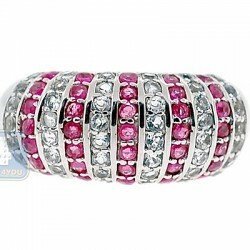 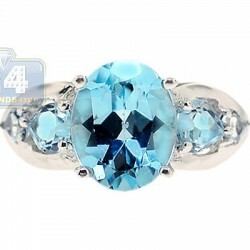 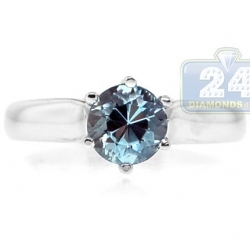 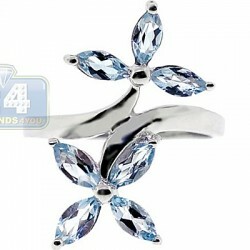 Enjoy bright colors and sophistication of this lady's cocktail ring! 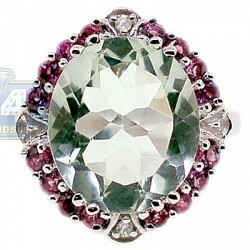 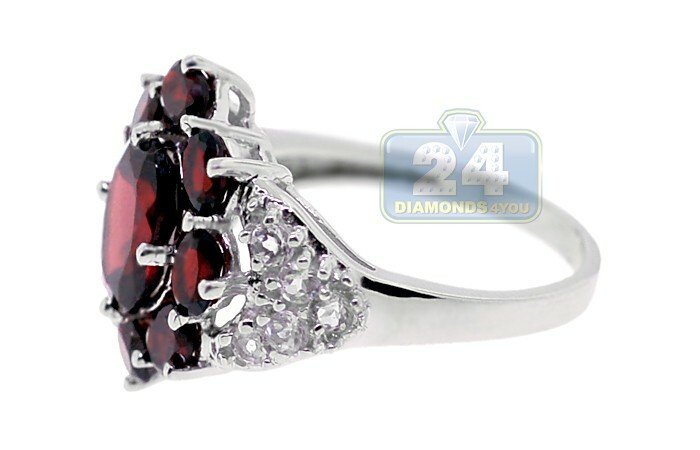 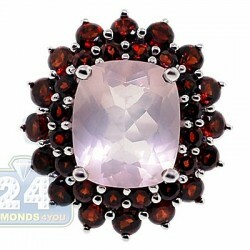 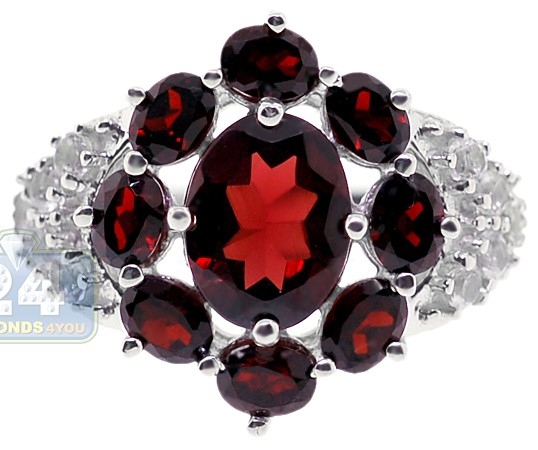 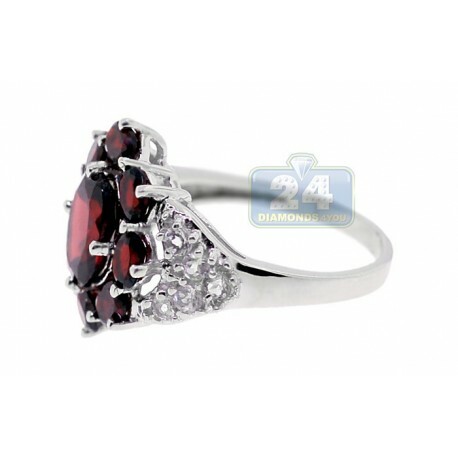 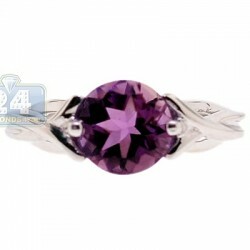 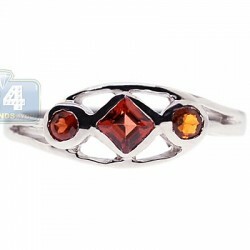 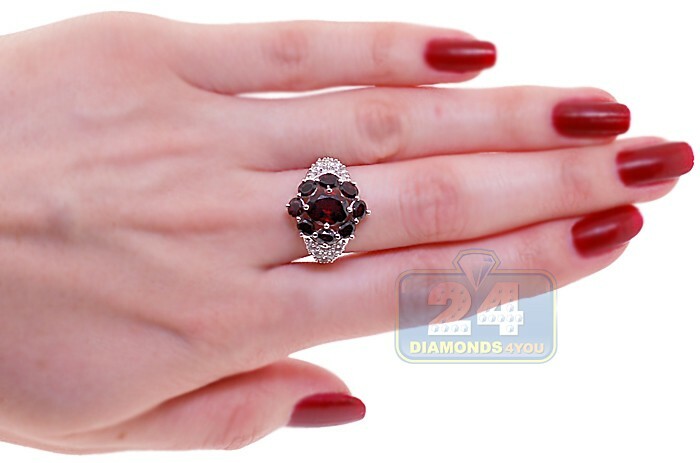 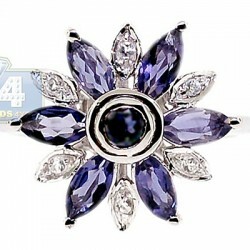 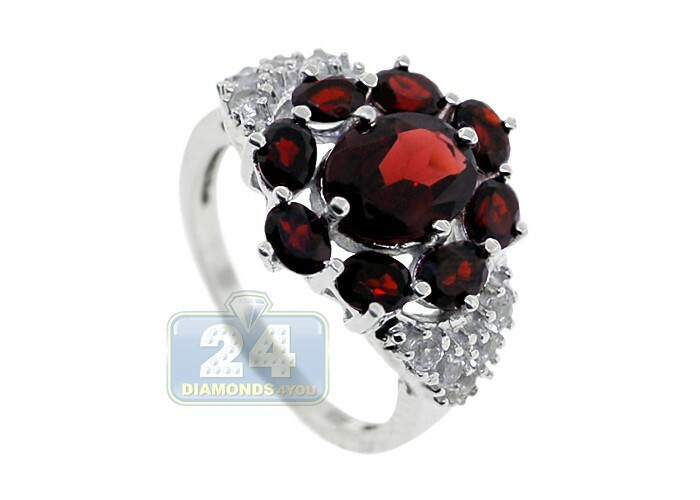 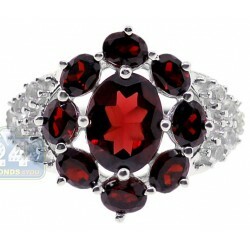 It showcases an impressive flower inspired design with a mysterious genuine red garnet precious stone in the center. 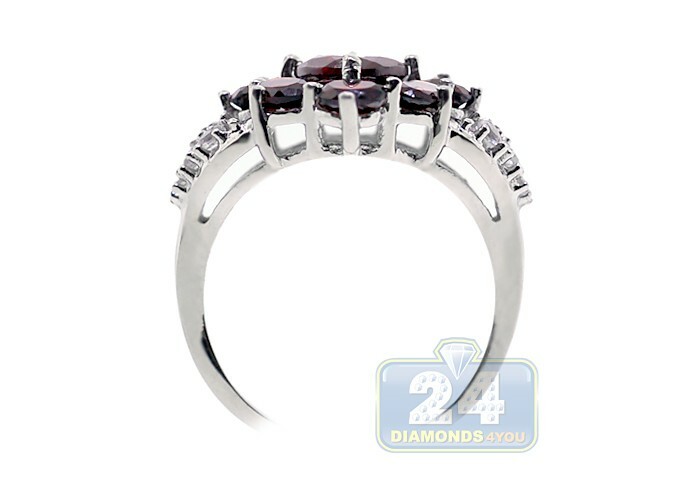 The shoulders of the ring are delicately accented with fascinating white topaz rounds. 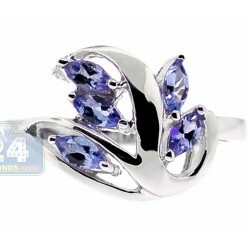 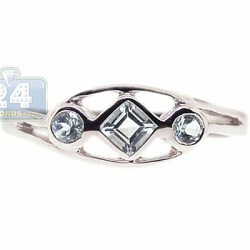 Cool 925 Sterling Silver with highly polished shiny finished is used to create this exquisite setting. 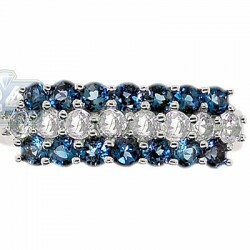 Add an exceptional beauty to your look with such a special jewelry piece!